The presentations and podcasts from the Records Managers Forum held 19th July are now available on Future Proof. The Forum promotes communication between NSW public sector records managers and provides an opportunity to exchange news and discuss issues of current concern. 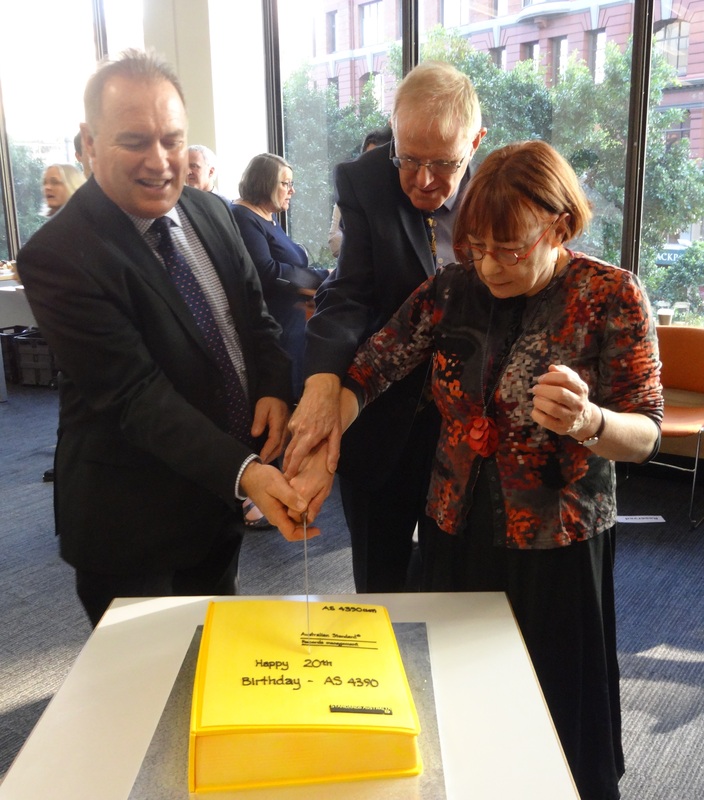 The Records Managers’ Forum celebrated the 20th year anniversary of AS 4390: Records Management, the first national records management standard in the world. Geoff Hinchcliffe, Director, State Records Authority, updated the participants regarding the Authority’s current projects and initiatives, including the launch of the new website. In addition, Geoff announced that the State Records Authority has moved from Government and Corporate Services to the new ICT & Digital Government (IDG) Division of Department of Finance, Services and Innovation (DFSI). With digital being a key focus of State Records for the future, this move provides the opportunity for State Records to be at the forefront of digital innovation in our new Division. David Roberts, former Director, State Records Authority talked about the history of the development of the AS 4390. The Standard provided an opportunity to clarify key concepts in recordkeeping and made distinction between data, records and information. Barbara Reed, Chair of Standards Australia’s IT21 Committee, provided an overview of standards relating to document and records management. Specifically, Barbara outlined the key changes in the ISO 15489:2016, namely: inclusion of the term “asset” in the definition of record, a greater emphasis on the digital environment and records control tools. The new standard also expands the term “Appraisal” to include analysis of business context, business activities and risks. Annalisa Yeo, Senior Policy Officer, Information, ICT and Digital Government, DFSI presented the NSW Government Information Management (IM)Framework approach to standards for data and information management. The IM Framework is viewed as central to the sharing and re-use of data for better services and performance. Catherine Robinson, Acting Manager, Government Recordkeeping, State Records Authority gave an overview of the Standards issued under the State Records Act. She also illustrated how the State Records’ standards fit with other standards, NSW Digital+ and the IM Framework. See Geoff Barker’s Blog for his take on the Forum.